Published on Wednesday 19 July 2017 by Mrs Gentles. Declan Spencer and Matthew Jackson travelled to Stratford upon Avon earlier this month to perform scenes from Shakespeare's 'The Tempest,' with The Durham Ensemble. 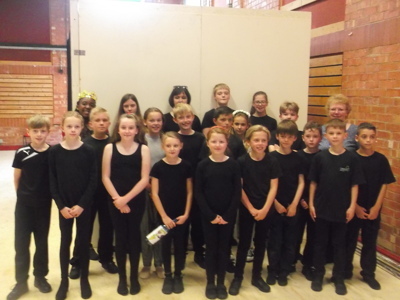 Children from ten local schools from Year 4 to Year 8, took part in our project with The Royal Shakespeare Company in their 'Playmaking Festival' along with other schools from across England. Crook led the project as Lead Associate School for the RSC with text edited by Mrs Gentles, directed by Mrs Blacklock from Hunwick CE Primary School and choreography by Miss Sayer from St. Cuthbert's RC Primary School and teachers from other schools as assistant and musical directors, it really was a true ensemble production. 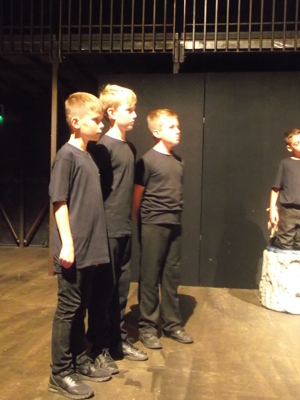 Declan and Matthew proved to be extremely dedicated and committed to the work, rehearsing every week after school, learning their lines and performing song and dance within the scenes. 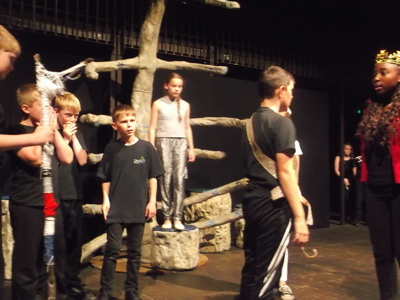 They never grumbled or complained, even though they had to rehearse the scenes over and over…they were real troopers! The RSC were absolutely delighted with our performance in their studio theatre, 'The Other Place,' in front of a paying audience. 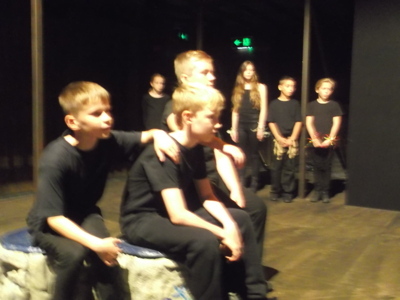 It has been another amazing year for Shakespeare in our school and we're all very proud of Matthew and Declan. We had a great time staying overnight at the Youth Hostel and as a treat after our performance, we went to see the birthplace of Shakespeare and to see the church where he's buried. 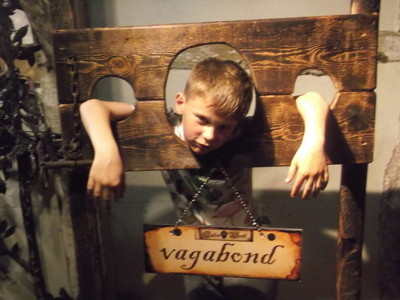 We also enjoyed some shopping, a trip to the haunted house and a picnic in the park before returning home. 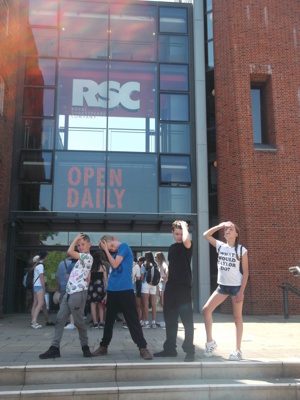 Still to come, the RSC are coming to Crook next June to perform 'Julius Caesar' for us as part of their Roman Season, a specially adapted play for children and their families, so 2018 promises to be an exciting year too. Thank you to parents and staff for all your support this year.